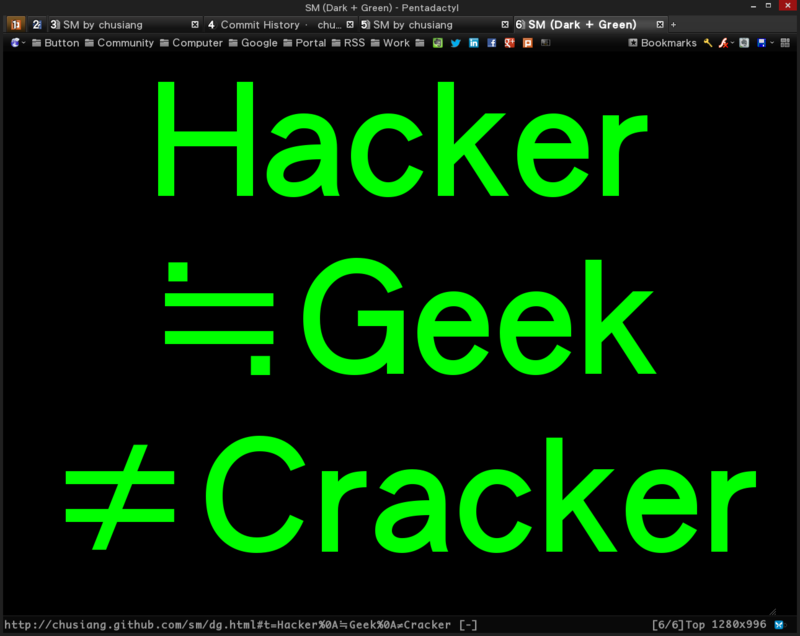 Display a text as large as possible on your screen with browser. 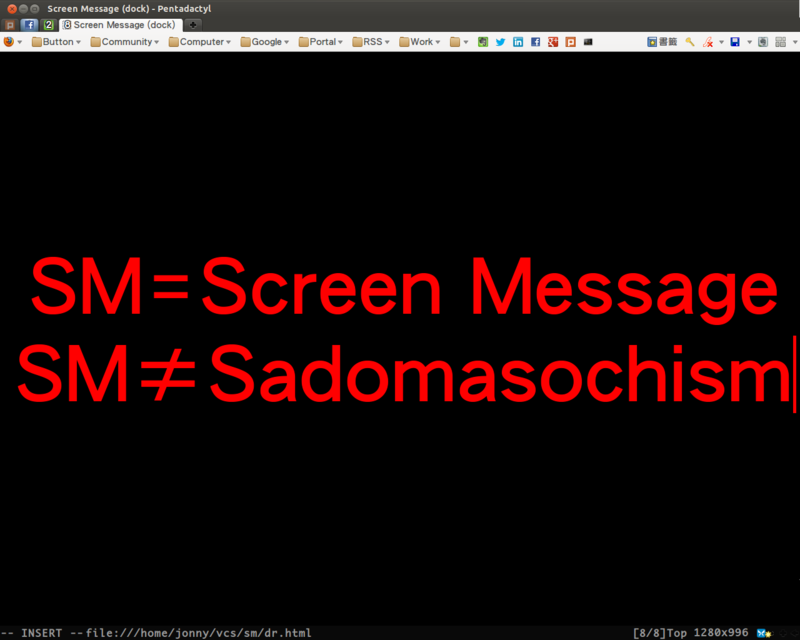 This is Web edition of screen-message, we can use it with Firefox, Chrome. and it`s not support Internet Explorer. We can click the link or key in something with browser. # open the source web link. 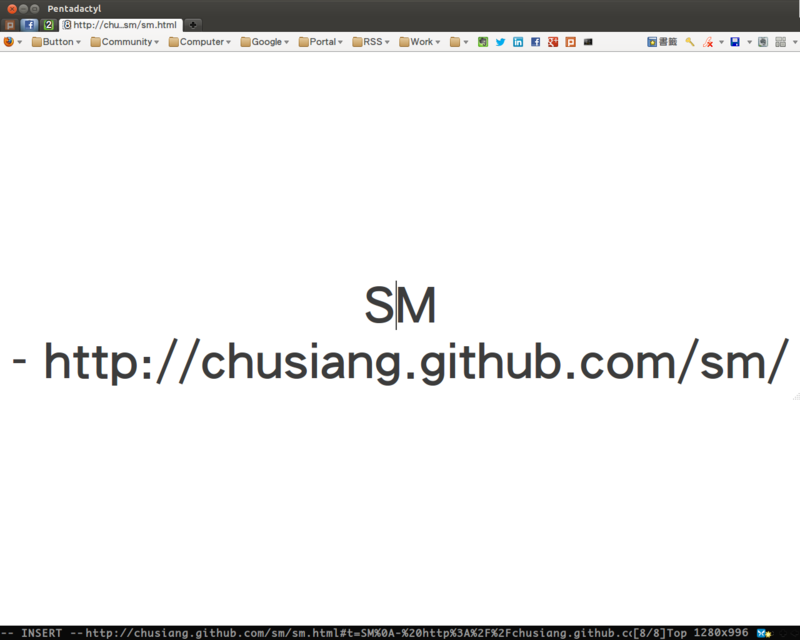 # or you can open the mirror link on GitHub. AndPoster (Android) - Screen Message for Android. Make It Big (iOS) - Type a message and Make it BIG! Lightning Talk Timer (iOS) - Lightning Talk Timer displays remaining minutes (or seconds if under 1 min.) on your iOS device. 抖抖 (Web) - A screen-message of shake style, power by CQD.